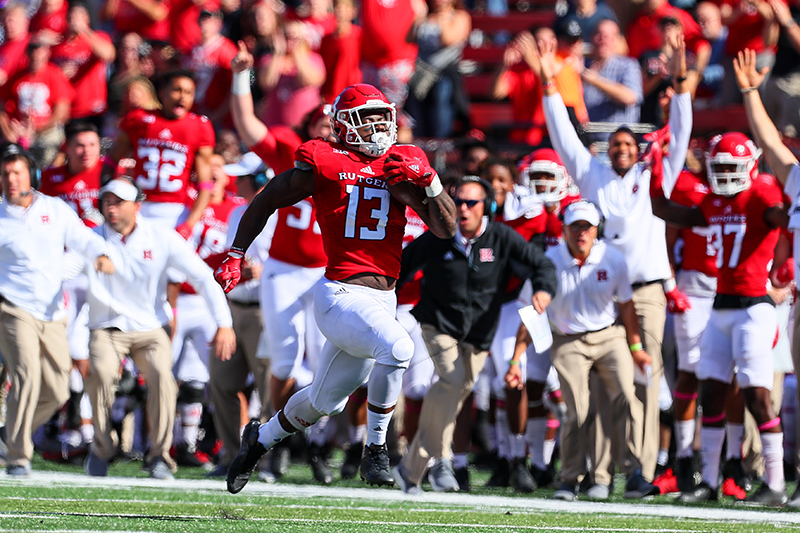 Hobbs refers to his “five-year turnaround plan,” which he adopted when he arrived in November 2015, and he looks forward to exciting developments on the field, in the classroom, and in the institution as a whole as Rutgers’ impact on the Big Ten and the Big Ten’s impact on Rutgers continue to grow in the coming years. “One of the reasons I was attracted to the job was because Rutgers is now part of the Big Ten Conference,” says Hobbs, who had previously served as law school dean and athletic director at Seton Hall University. The 14 Big Ten Academic Alliance member institutions collaborate on a number of programs, collectively educating almost 600,000 students and conducting more than $9 billion in funded research, from which Rutgers has benefited significantly. 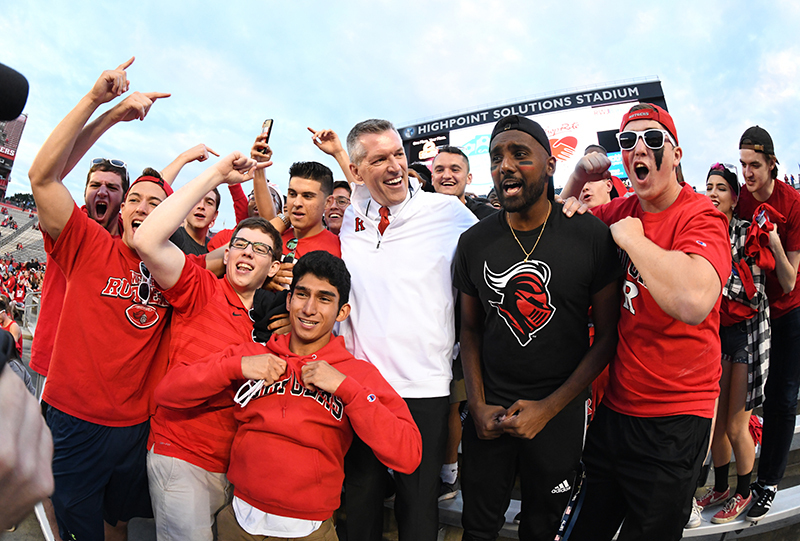 Traditionally benefiting from strong interest and many admissions applicants from New Jersey, Rutgers, according to Hobbs, now has also grabbed significant attention from outside the state. “The Big Ten footprint,” he notes, represents a population of about 85 million. 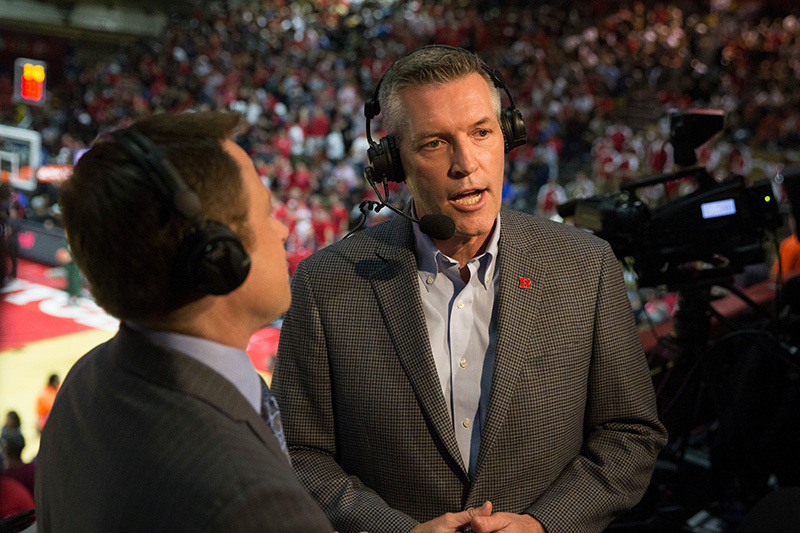 For Hobbs, the key to the success of Rutgers’ teams, as well as financial success for the athletic department and the success of the whole Big Ten enterprise, revolves around building that championship culture. But he acknowledges that even with positive attitude and focused investment of financial and human resources, it won’t happen overnight. After taking charge, Hobbs wasted little time in making two major investments in personnel, hiring head coaches Chris Ash in football and Steve Pikiell in basketball. He noted the investments in facilities that are accompanying Rutgers’ progress in the Big Ten: the RWJBarnabas Health Athletic Performance Center, scheduled to be completed by July 2019, which will feature a state-of-the-art practice facility for the men’s and women’s basketball, wrestling, and gymnastics programs; and this year’s groundbreaking for the Gary and Barbara Rodkin Center for Academic Success, which will consolidate athletic support services and provide a home for men’s and women’s lacrosse and soccer programs. 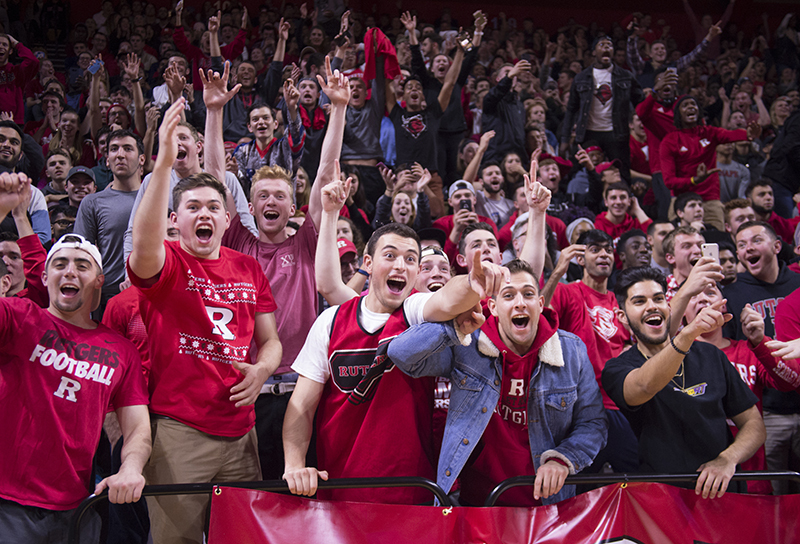 Though budgetary concerns have been almost as challenging as the daunting competition on the field for Rutgers Athletics in recent years, the financial outlook is brightening. “Our budget and financial picture will continue to improve as we move forward,” Hobbs said. 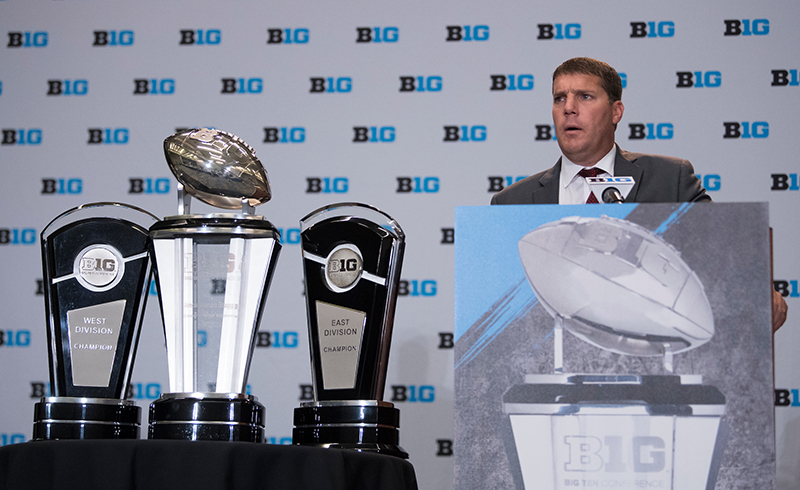 A six-year Big Ten phase-in for Rutgers brings increasing funds to Rutgers each year with the first full-share check from the Big Ten, some $44.5 million, scheduled for 2021 and annual increases anticipated each year after that. Excited about the increasing momentum of the rebuilding, Hobbs predicted visible progress in the year ahead and significance success over the next two to three years. “We’ll see some nice success with some of our programs this year, a preview of what’s coming down the road, and by year five we’re going to be percolating along pretty nicely,” he said. 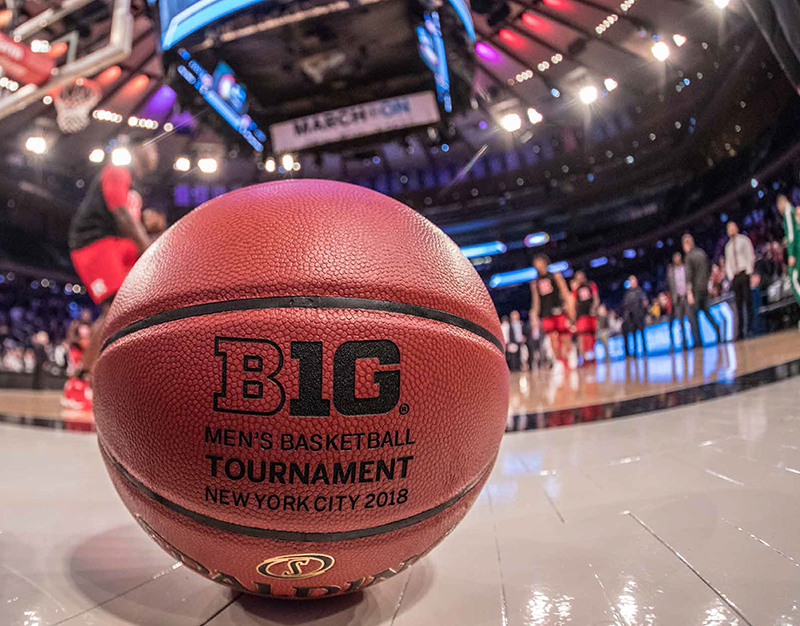 Hobbs cited a “great moment” in the men’s basketball team’s performance last spring in the Big Ten Championship Tournament in Madison Square Garden. “I think we surprised some people by getting into the third round of that tournament,” Hobbs said. “We had very significant wins against Indiana and Minnesota in the first two games, then playing Purdue, one of the top teams in the country, in the third game. We were the talk of the town in a very positive way, whether you turned on sports radio or watched the nightly sports report. He concluded, “I take that responsibility very seriously every day.